Super Bowl XLIV was started on 7th February in 2010, between NFC champion New Orleans Saints and AFC champion Indianapolis Colts to decide the NFL champion for the 2009 season. 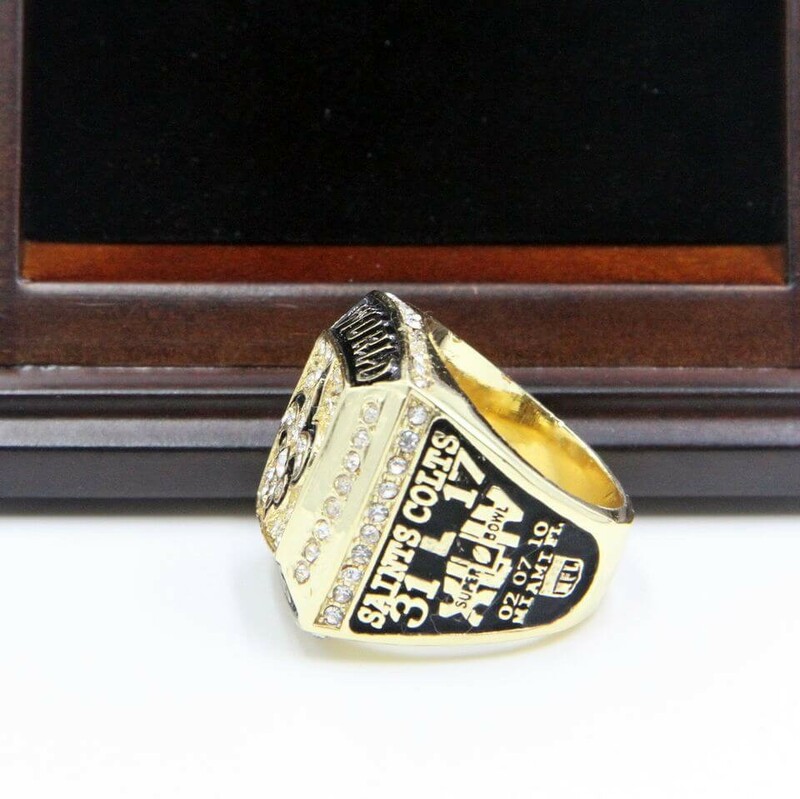 The game played at Sun Life Stadium Miami Gardens, Florida. 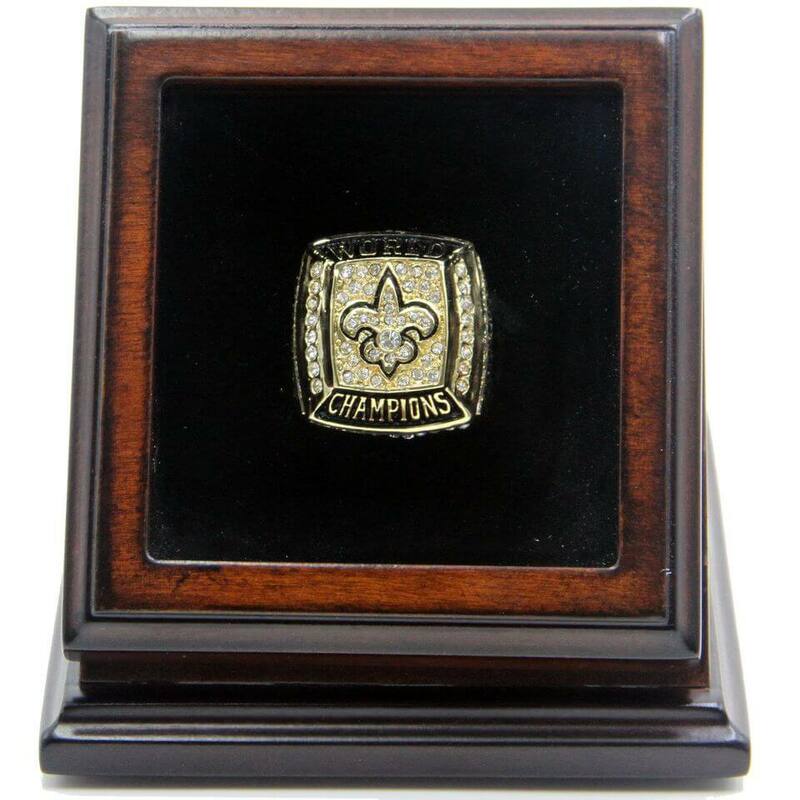 This was the first time that New Orleans Saints appeared Super Bowl since it established in 1967 in New Orleans, Louisiana. 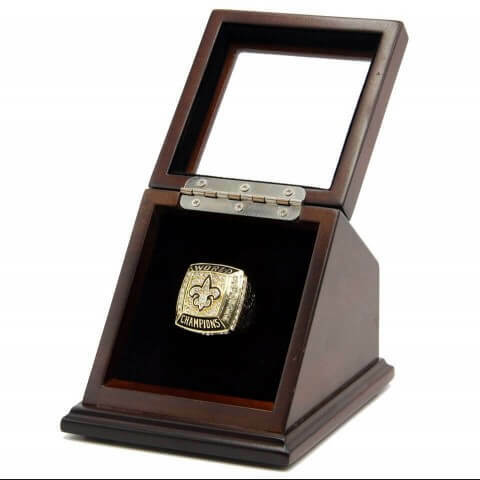 Finally, New Orleans Saints defeated the Colts by 31:17, and won the first Super Bowl, Drew Brees was named MVP in Super Bowl XLIV. 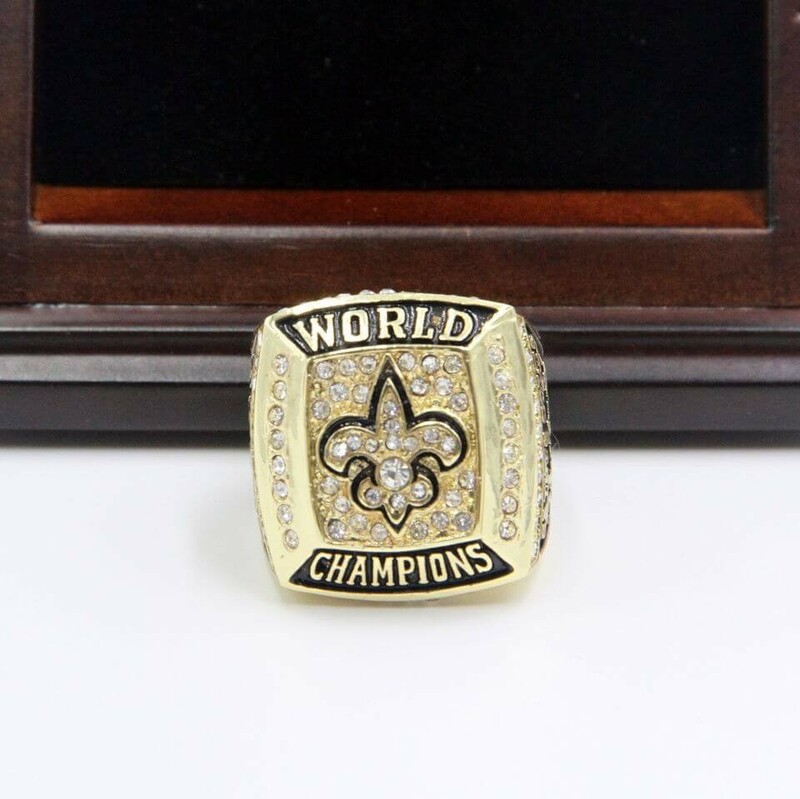 Even though, this was the only Super Bowl championship that New Orleans Saints had won, the 2009 season was a historical moment for this team. 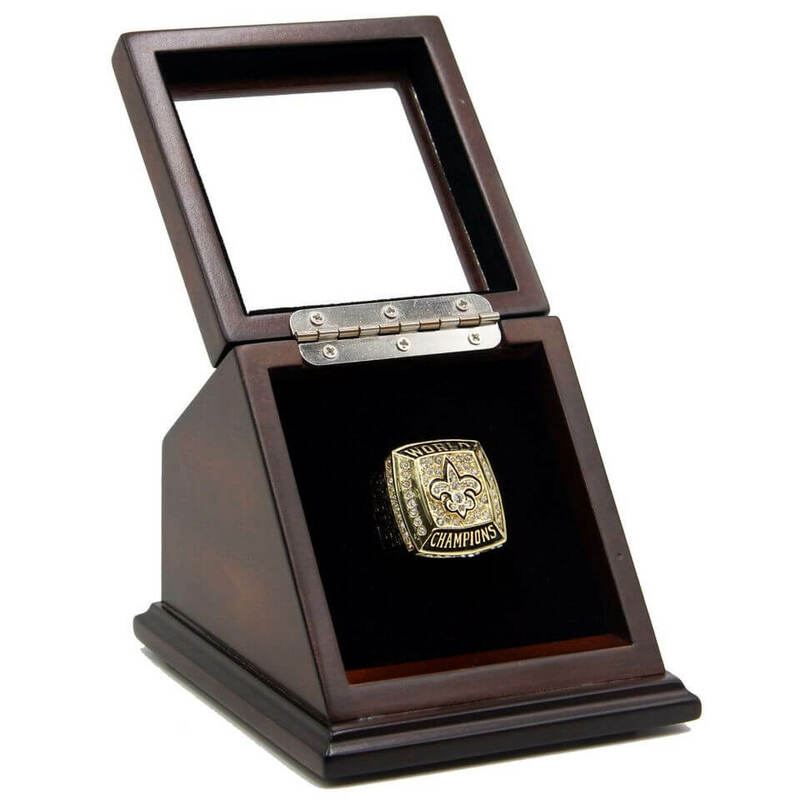 NFL 2009 Super Bowl XLIV New Orleans Saints 18K Gold-Plated Championship Replica Fan Ring with Wooden Display Case – Brees is the thing to memorize that great time for New Orleans Saints and Drew Brees. 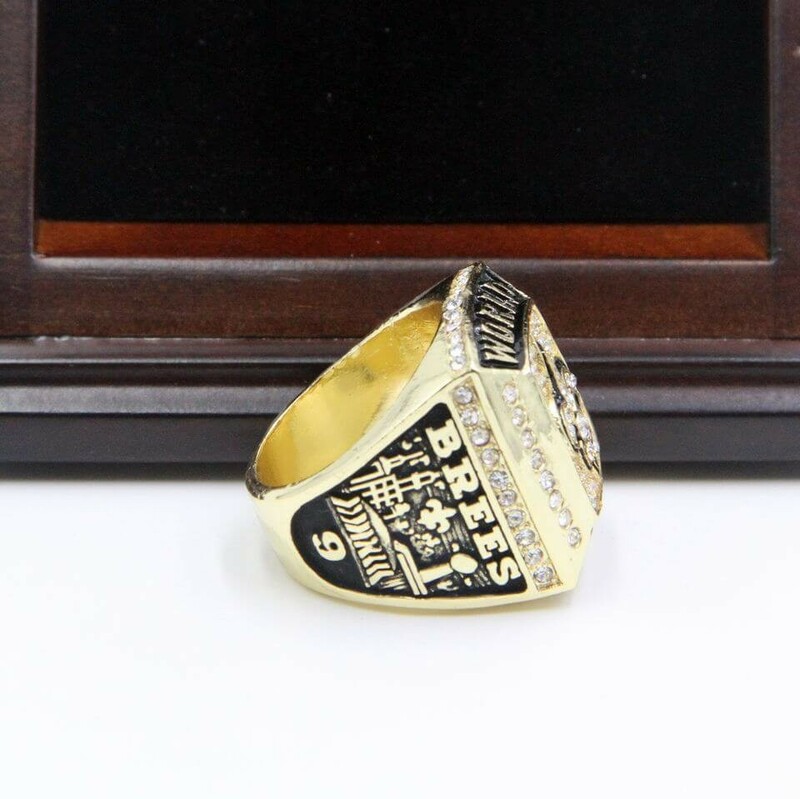 Brees’ name is on the side of the 2009 Super Bowl rings plus a beautiful wooden display case is a unique and a great gift for most of the New Orleans Saint and Drew Brees fans and it is a fantastic collection for you to remind the great moment at Super Bowl 2009. 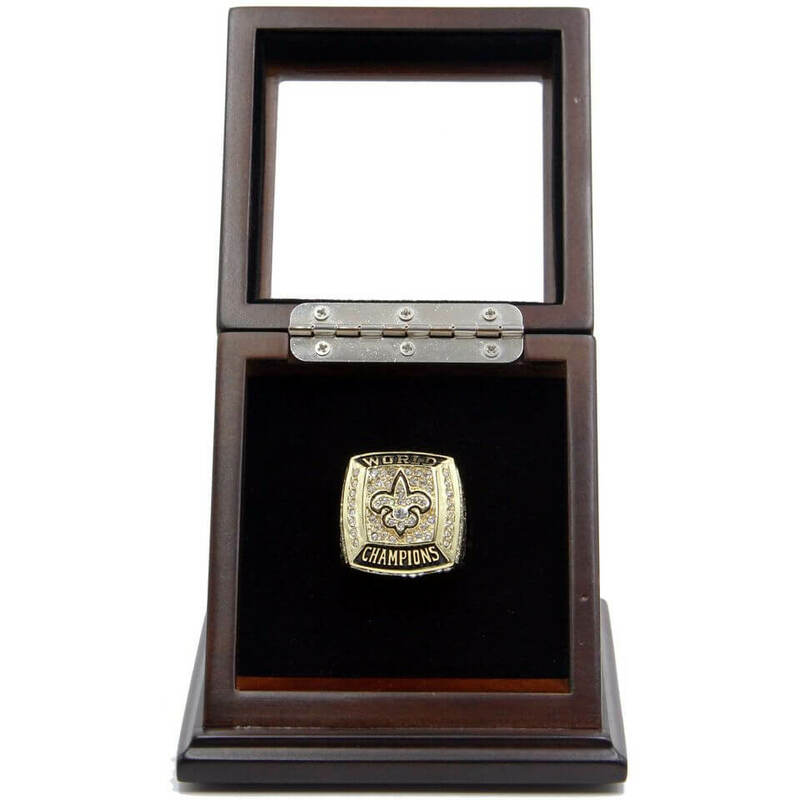 Material Every Championship ring spends 28 days through 14 working processes, choose high strength and high quality alloy with 3 times 18K Gold electroplating. High quality crystal were selected and inlay on the top of every Championship Rings.